'Moderate' PA chairman's faction falsely inflates and boasts terrorist attacks, claims to have attacked Dimona nuclear reactor. 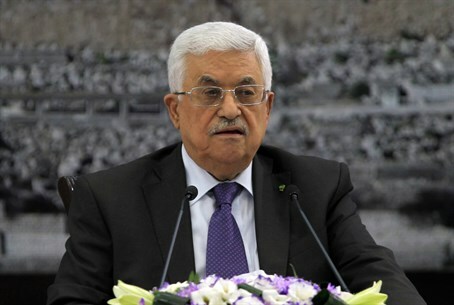 Palestinian Authority (PA) Chairman Mahmoud Abbas's Fatah faction, which has been presented by many as "moderate," sought to leave no doubts on Sunday about its terrorist nature as it declared having murdered "11,000 Israelis." Palestinian Media Watch translated the statement from Fatah's official Facebook page, in which the fictitious claim of having killed 11,000 Israeli citizens was made. Fatah also claimed having "sacrificed 170,000 martyrs," similarly inflating the number of killed Fatah terrorists. Fatah likewise asserted that it was the "first Palestinian faction to reach the nuclear reactor in Dimona." The curious claim refers to a terror attack in 1988, in which three working mothers were killed by three Fatah terrorists on a bus on their way to the Dimona plant. Abbas's faction claimed being the first terror group to attack Israel in the first (1988-1993) and second intifadas (2000-2005), in the second instance bragging of a 2000 attack in Gaza. In that attack, Baha Al-Sa'id of the PA security forces infiltrated Kfar Darom and murdered two IDF soldiers. He was shot by one of them in the exchange and died of his wounds. At the end of its list of terror "achievements," Abbas's party wrote that it "led the Palestinian attack on Israel in the UN," referencing the diplomatic war it continues to wage against the Jewish state. The very last "achievement" listed, after all the terror attacks and cases of murder, reads: "Fatah leads the peaceful popular resistance against Israel." While Abbas has often been touted as a "peace partner," his Fatah party's Al-Aqsa Martyrs Brigades military wing claimed a shooting attack on "a group of Zionists" near Bethlehem just this Sunday. It also claimed responsibility for a failed shooting attack last Sunday in Neve Tzuf, Samaria. Abbas's Fatah faction has called for the ethnic cleansing of Jews from Israel, and declared "open war" on Israel late last month. The statements are in line with the Palestine Liberation Organization (PLO) charter of 1968, which calls for "armed struggle" or "armed revolution," declaring "armed struggle is the only way to liberate Palestine," and calling on local Arabs to "be prepared for the armed struggle." Following the charter, the PLO and Fatah were defined internationally as terror organizations, a status which was removed during the 1993 Oslo Accords process.